Once we returned from our amazing trip to the mangroves at Cuero y Salado Wildlife Refuge (the tale is told in two parts here and here) we only had a couple of hours in which to pack our bags, eat lunch, and cram a bit more birding in before we had to head off to the town of Olanchito from which we would mount an expedition to see the Honduran Emerald. 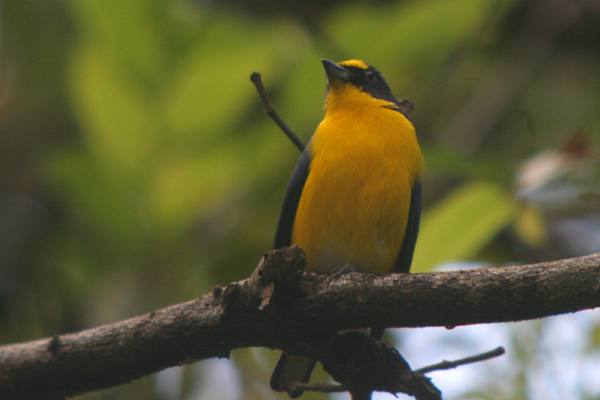 After bolting down my lunch and moving my already-packed bags to the lobby (I had intentionally awakened even earlier than our planned predawn awakening to get the packing out of the way) I headed out the front door of the main lodge to see what birds were out and about at The Lodge at Pico Bonito. There were, as always, quite a few. 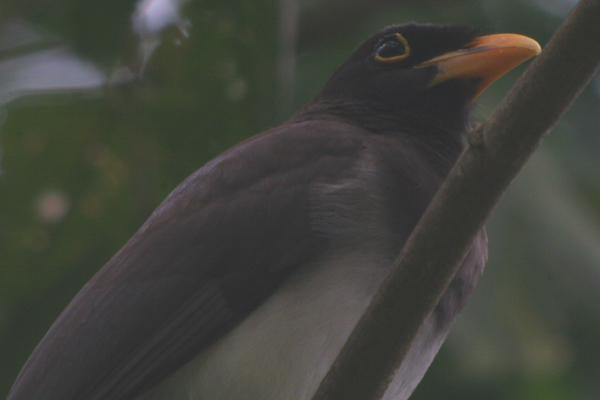 Brown Jays like the one above called from several locations, Montezuma Oropendolas made their bizarre sounds from the trees, a host of wintering wood-warblers chipped and chirped from every direction, and, as so often happened when staying at the lodge, the difficulty lay in deciding upon which bird to focus. 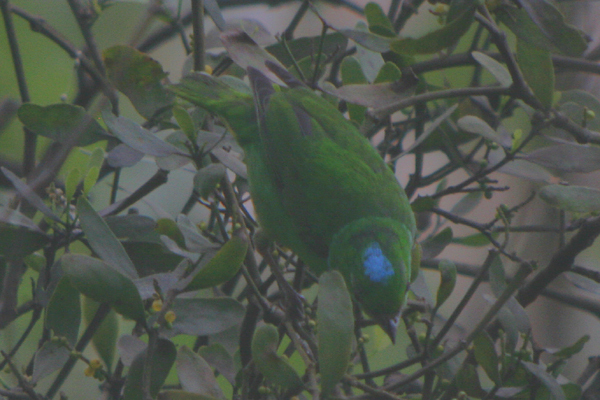 That’s when someone yelled something about chlorophonias and I had to head back to just outside the entrance of the lodge to see them because I had not yet had the pleasure of making the acquaintance of a Blue-crowned Chlorophonia. 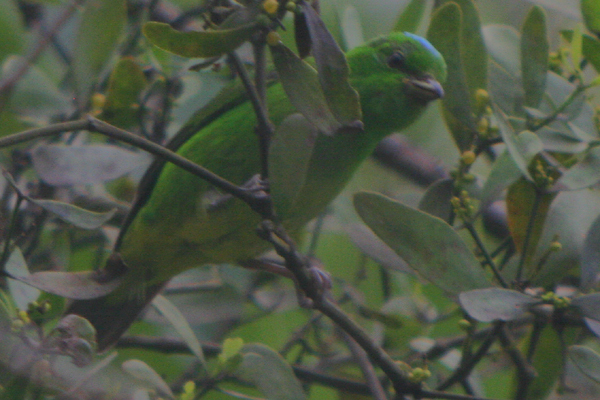 They were feeding in the same tree that had hosted a variety of euphonias throughout our visit (Olive-backed, Yellow-throated, and White-vented). It was a heck of a tree and it was great to have such nice birds in such an accessible location (one could literally take two steps from reception and see the birds). Of course, the sheer number of small songbirds was observable to more than just birders: occasionally a predator took an active interest as well. 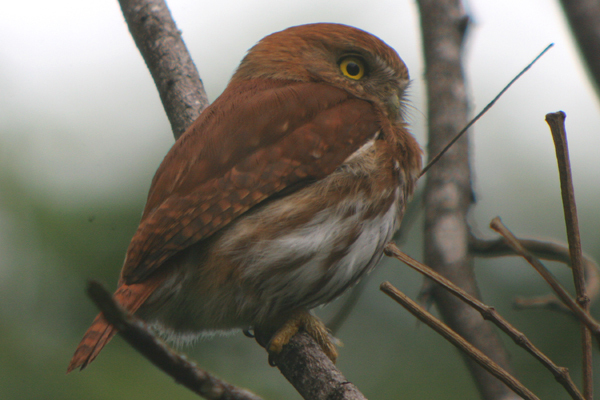 The Ferruginous Pygmy-Owl below missed its intended victim and paused for a few moments to locate another target. In the second picture check out the “eyes” on the back of its head. 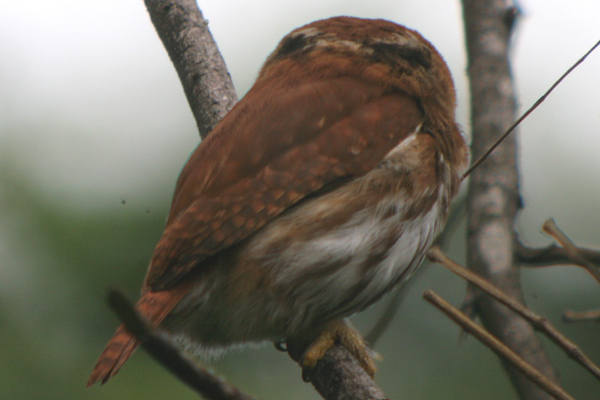 It was shortly after digiscoping the owl that I started to get a horrendous headache, and even a stop to see the Great Potoo again on the way out of Pico Bonito didn’t make me feel any better. And when I failed to attempt to digiscope the Lovely Cotingas and when my response to my life Purple-crowned Fairy was “I’m going to sit in the bus,” well, you know I felt horrible. It was a rather miserable way to end a visit to such a marvelous location with such great birds and I just hope that I am fortunate enough to go back and visit again (hopefully soon!). I highly recommend The Lodge at Pico Bonito for anyone who wants to bird the neotropics while staying in luxurious but not environmentally-destructive accomodations. You won’t regret it! This post was submitted to Digiscoping Today, Week 2. Go check it out!